I am life. You are life. We are life. I.AM.LIFE combines life affirming art, music and media to create immersive, transformational experiences of interconnectivity. In dynamic collaborations of youth, adults, and elders, they create and nurture connections with the natural world, each other, and indigenous peoples. 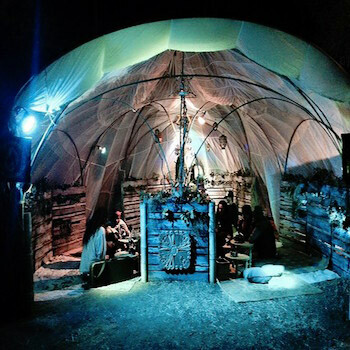 The Tea Lounge is a traveling immersive installation utilizing the tea lounge setting as an opportunity to promote and encourage interconnectivity, community, sustainability, environmental stewardship and preservation of indigenous wisdom with music and visual magic. Our live music concerts are created with the musicians and artists who share the intention of raising awareness on these important local and global matters. 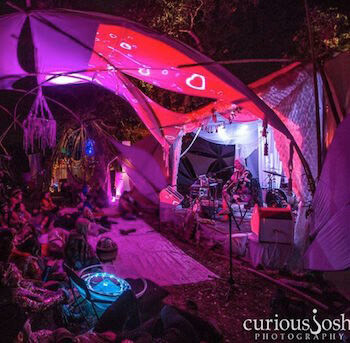 I.AM.LIFE was brought to Lucidity Festival in 2013 to produce an environment in the Lovers’ Nest Village. The Tea Lounge was born and captures the experience of the Nest, a sanctuary for Lovers through the experience of heart-warming music and tea. I.AM.LIFE has been a partner-collaborator with Lovers’ Nest Village ever since in creating an intimate experience between the participant and the music. In the design of the Lovers’ Nest, the Tea Lounge experience is integral in providing a space where the audience is immersed and becomes an integral component of the Village experience. ← Who is Underground Souls?